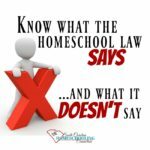 Anyone who wants to advocate for homeschool rights needs to know how to understand the legislation process. How can we be most effective in advocating for our rights? When should we sound an all-call alarm to “Call your Reps”? And why? I didn’t understand how or why to be involved as a citizen. 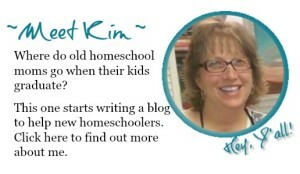 I was comfortable in my own little homeschool bubble. 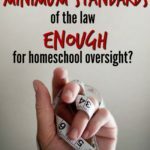 I understood the homeschool law and did my part to abide by it. I wasn’t bothering anyone. 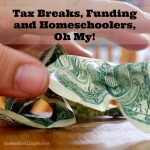 But, in 2013, our homeschool rights came under fire. And it changed my whole perspective. It’s become very important to me to keep aware of the current legislation so that we can protect our rights and responsibilities. In my new efforts to follow the bills being considered, I have learned more about how to be involved and when citizens can give input. Our homeschool directors and leaders gathered for a workshop about how the legislation process work in January 2018. Dr. Oran Smith from Palmetto Promise spoke to us about the process and how to be effective advocates for issues that matter to us. 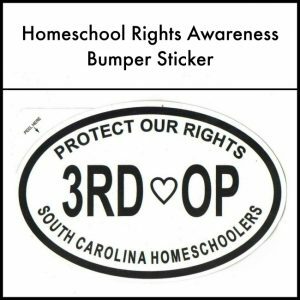 Click here to read more about Palmetto Promise and our local allies for home education. The First Draft: Every legislation starts with a spark of an idea. Let’s say you have an idea that you wanted to turn your idea into a piece of legislation. If you were looking to start your idea, you would want to find someone on the subcommittee that might like the bill/idea to introduce the legislation for you. Then, a roomful of lawyers will put all the therefores/whereas’s and be it resolved into the proposed bill. It’s very helpful to find similar legislation in another state that can be modified for SC. Then, is assigned a number and posted on the state website. All House bills have the letter H and start with the number 2, 3 or 4 and are usually 4 digits long. Senate have the letter S and start the number 1, 2 or 3. No more than 3 digits long. One person is the sponsor. The person who initiated the bill is also hopefully on the committee/sub-committee. Finding a sponsor who is the right person for it. After that first name, there can be as many co-sponsors as possible. The more co-sponsors the better, so you could contact your legislator to have them sign on a bill as a co-sponsor even if they are not on the committee. Or if it’s a bad bill that we want to stop, the fewer co-sponsors the better. 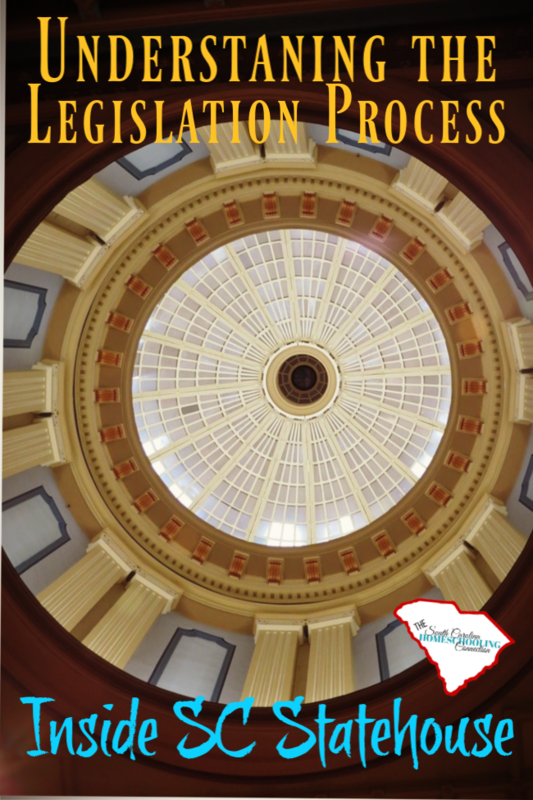 This is an example of how the piece of legislation is progressing thru the process. This example started in the Senate and says it’s currently in the Committee on Education. You can also see the date when it was introduced (in April near the end of the 1st session year of 2017). The Committee/Subcommittee: Once the bill is introduced on the floor, it is then referred to a Committee. The Committee/Subcommittee makes revisions to the bill. The words that are used are for talking purposes. 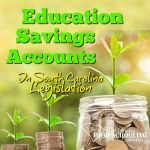 We can recommend specific changes for homeschoolers to be included or excluded from the bill. The subcommittee may set a hearing date. That is the only time the public gets to make a comment. At the hearing, anyone who wants to speak is given the chance to stand up and speak. From then on, there is no opportunity for public to get input. It’s a bit of a trick to find out when the hearings are scheduled though. You can’t get to the hearing schedule from bill number on the state house website. Instead, there is a list of all the meetings being scheduled each week by committee. Every Monday morning you have to check what bills are coming up on the agenda for the week. There is a system sign-up where you can keep track of specific bills. Keep in mind that some bills will never get a hearing. When you see a bill-with only one legislator, it may not ever get a hearing. Say, it gets filed in January and still no hearing within several months. It’s a sign that the leadership of the committee doesn’t want to move it forward either. We can prevent a bill from getting a hearing by contacting the subcommittee members and let them know it’s a bad bill. If you have three or four subcommittee members who are considering the bill, we need to focus on those members. Use the hammer carefully. Usually a few calls/emails is a significant feedback on the matter. You can call your own house member but, it’s not necessarily where they have any input or understanding if they are not on the committee. You can contact the committee member directly, even if they are not your rep. However, they may not value your input if you are not one of their constituents. Sometimes we need to go nuclear and call everyone. That’s what happened with H3478. We flooded the State House with so many phone calls that it shut down the switch board. The bill never got a hearing. The co-sponsors all removed their names. The sponsor even asked to un-file the bill (which isn’t a thing that can be done). Progress thru the Full Floor: If the bill makes it out of committee, then the reps vote. After the hearing, the Subcommittee will have a vote. Then the bill move up to the full Committee. There is no hearing, no testimony. Legislators talk among themselves with a report from the sub-committee. The Committee votes and then it goes to the Full Floor for all the reps in the House or Senate to vote. Once it passes the full floor vote. It goes to the back of the line on the other side and back to the bottom of the pile. Bills with finances usually start in the House. Other bills can start on either side. Sometimes similar bills are started on both sides to help fast track the issue thru. For an example, let’s say the bill starts in the House. The Chairman of the sub-committee or the full committee is the manager of bill to present it to the House. The House of Representatives is about volume turning the process. There’s a relatively short discussion and then electronic votes are cast. They have to pass it twice: on First and Second Reading on one day. The next day is voted on the 3rd reading. Then it goes to the Senate. It’s harder to get a hearing in the Senate. It’s a lot of power in the Senate committees, because they can sit on a bill. They are much slower than the House. They deliberate much more. When it gets to the full floor hearing in the Senate, it’s the last step before it becomes a law. They can be very analytical about the process. They can filibuster so that time runs out to ever take a vote. Usually takes two years to get thru the process. Some bills are pre-filed in the off-session months so they get a hearing right away in January. Legislation adjourns in May thru December. In January of the 2nd session, the hope is for both houses to agree by then, so that the bill can go to the governor. It’s hard to pass good legislation. It’s easy to kill bad legislation. Everything has some sort of controversy and that makes it difficult to get all these components to agree. Next time you see on social media the “all-call” alarm about a bad bill. Please click over to read the bill for yourself before you share the red-alert information on you social media. Look at date: The longer it sits without moving, the more likely it will stall out and die in the process. Look at the words as talking points: State specific changes, instead of just saying you like it or don’t like it. Look at progress: Contact committee members. Find constituents within their district to make the contact. Sometimes all it takes is 4-5 calls—because most people are not involved. Sometimes the legislator who filed the bill may not even be interested in voting for the legislation. It’s a game of politics, where they may have only filed a bill to appease a constituent. It doesn’t necessarily mean the rep even agrees with the bill they filed. You can contact your rep to sign on as co-signers of bills we support. The more co-signers the better chance it has to move forward. If you are constituents of the sub-committee, you can call/email your legislator. Anyone can give testimony at sub-committee hearing. Help share information about hearings we would want to attend. The chairman of the committee might listen to you even if they aren’t in the district. When there is no sub-committee, you can contact the reps on the full-committee, especially if you are their constituent. When the bill is scheduled for a vote on the full floor, contact your reps then for that. 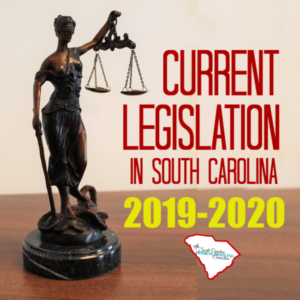 I hope this post has helped you better understand the legislation process in South Carolina. How and when you can get involved as a citizen. Let’s help each other keep watch on the legislation that affects us. If you’d like to help me keep watch, please let me know at homeschoolingsc@gmail.com. I’ve put together a post with the current legislation that I know of.